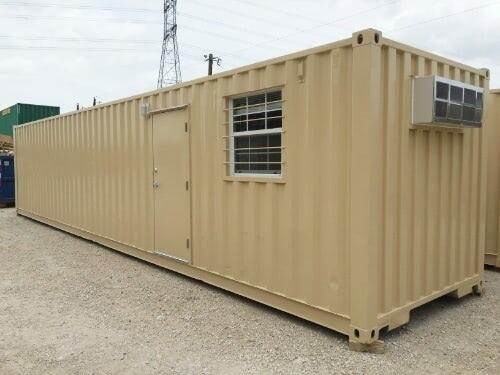 Mobilize a climate-controlled workspace with an open shipping container office. 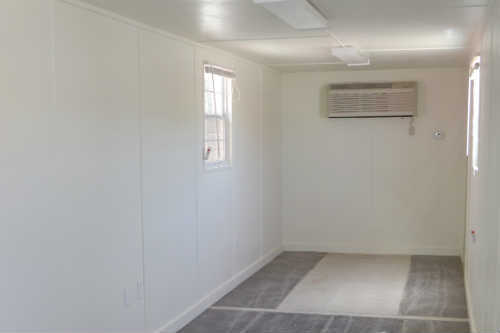 Computers and files are safe behind the industrial grade personnel door and barred windows, and employees are comfortable thanks to field tested insulation and HVAC systems. 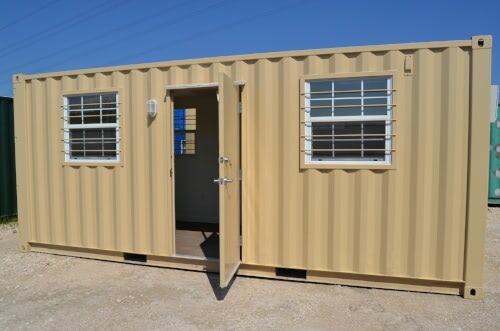 The open shipping container office is an excellent option for businesses seeking a durable ground level office. Maximize productivity in tough environments or quickly expand existing facilities. Support for two workstations in 160 square-feet or 320 square-feet of secure, weather-proof and rodent-proof space. Comfortable work environment with climate control and office-grade finish out. 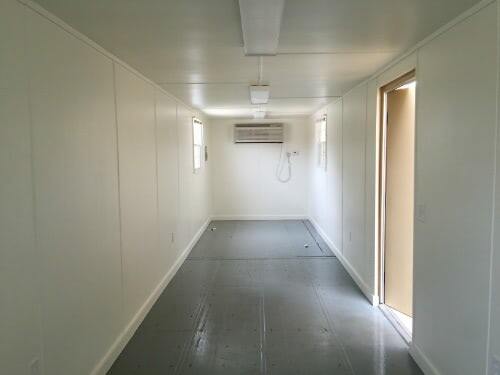 Includes steel personnel door, four windows, plywood walls, insulation, HVAC unit, overhead lighting and outlets.